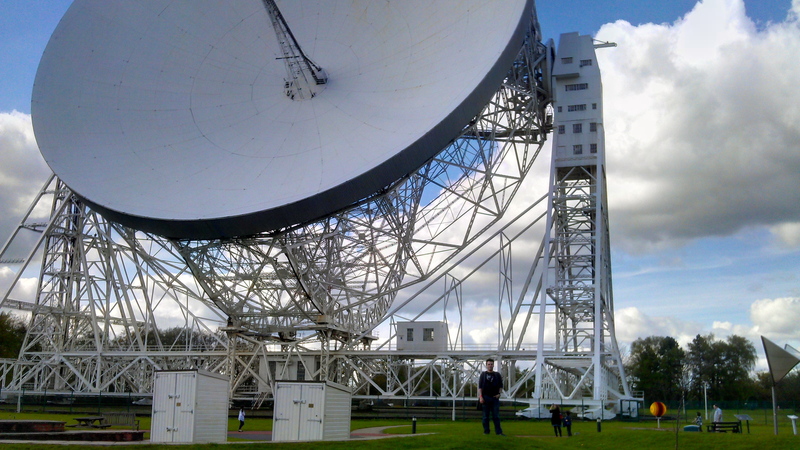 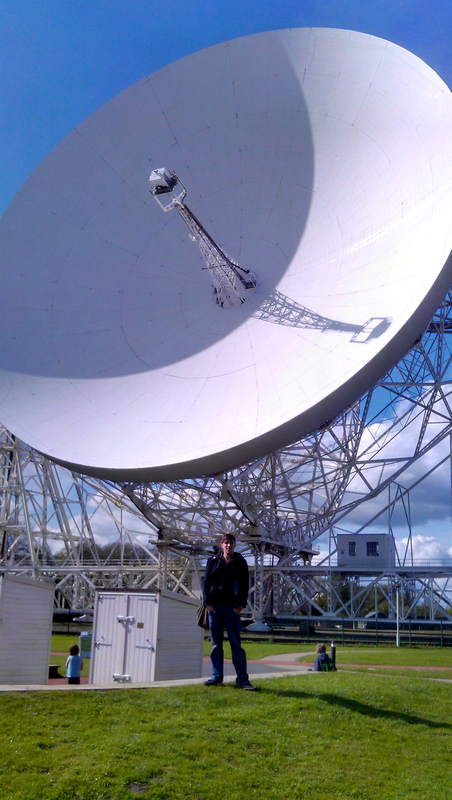 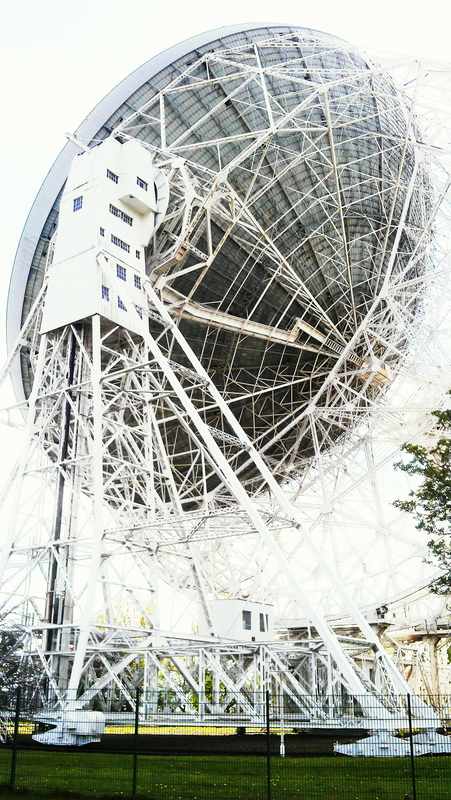 Today, I thought I’d take Max on a surprise day out, to Jodrell Bank – somewhere that I’d always been fascinated by as a kid. 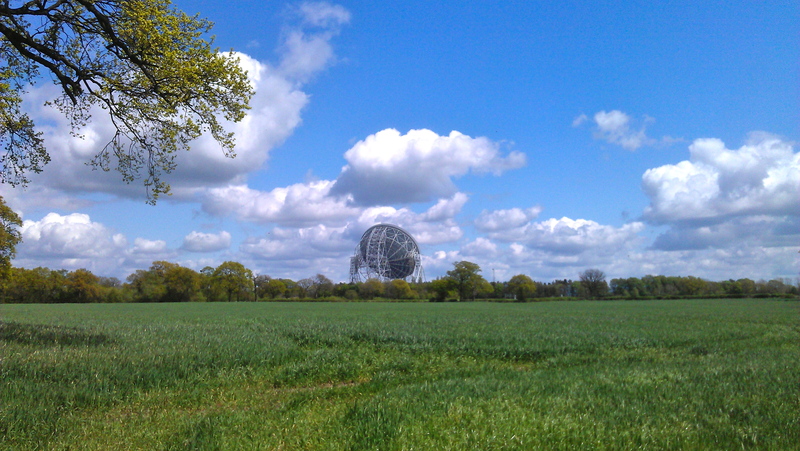 We went by train, and so had the two-mile walk up a narrow country lane without pavements, to get there – but the scenery around Goosetry is amazing, and very picturesque, so it wasn’t so bad! 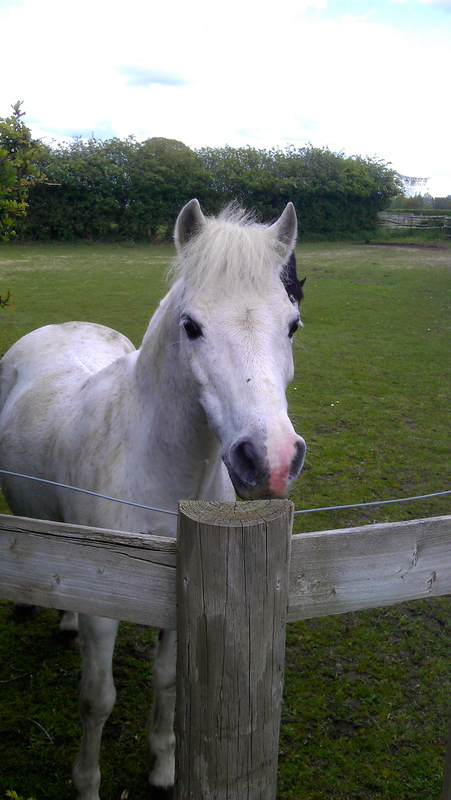 (We were less a fan of the 55 minute wait for the hourly train home, having just missed it, hehe). 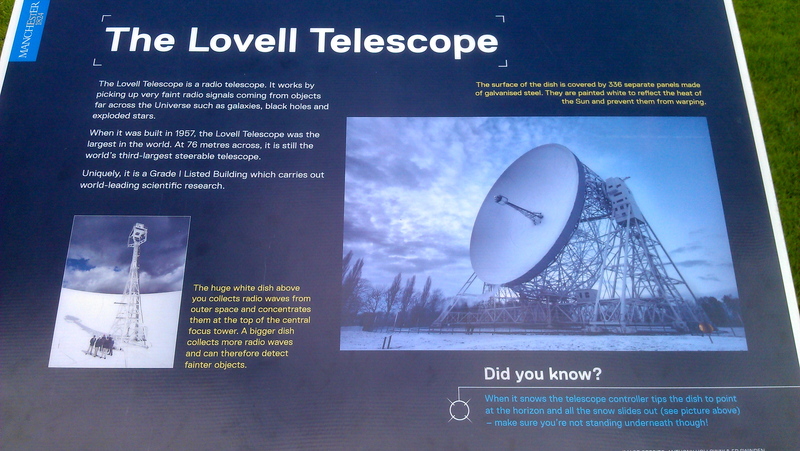 When we got to the recently renovated Discovery Centre (and the new Galaxy Gardens), I have to say, we were pretty disappointed with it – it could be SO much more than it currently is – there needs to be more in the way of explanation, and hands-on stuff, as well as more about what the Centre has accomplished etc. 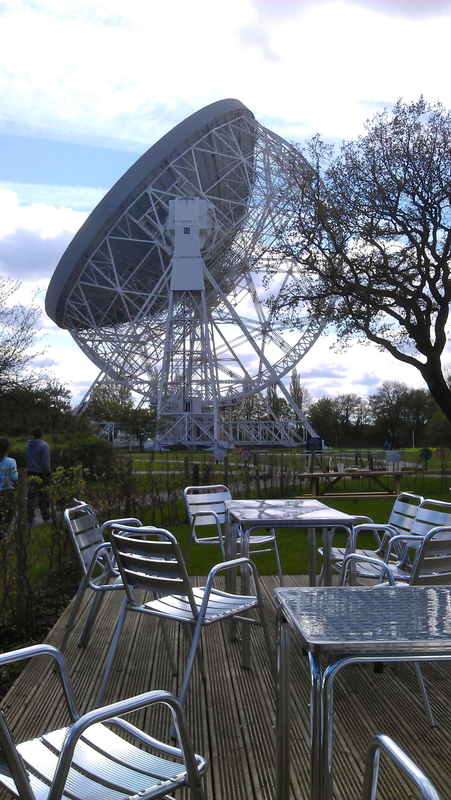 I did like that you could get a current readings print out from the telescope, however, the highlight of the indoor stuff, bizarrely, had to be the cafe, which was selling restaurant quality food we thought – it was absolutely delicious! 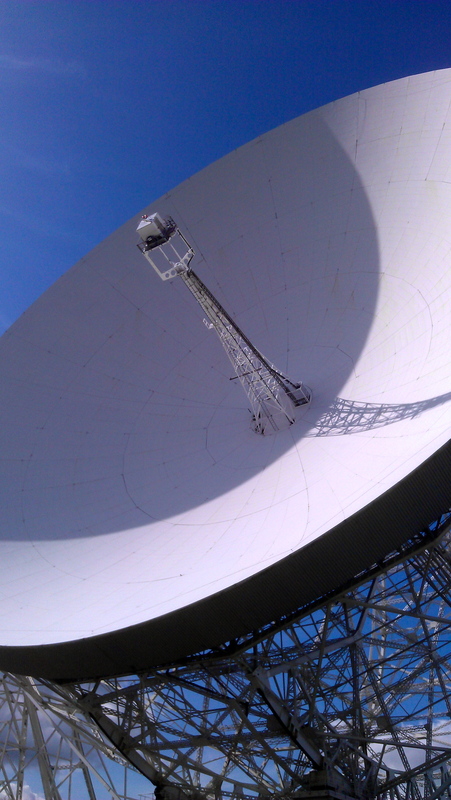 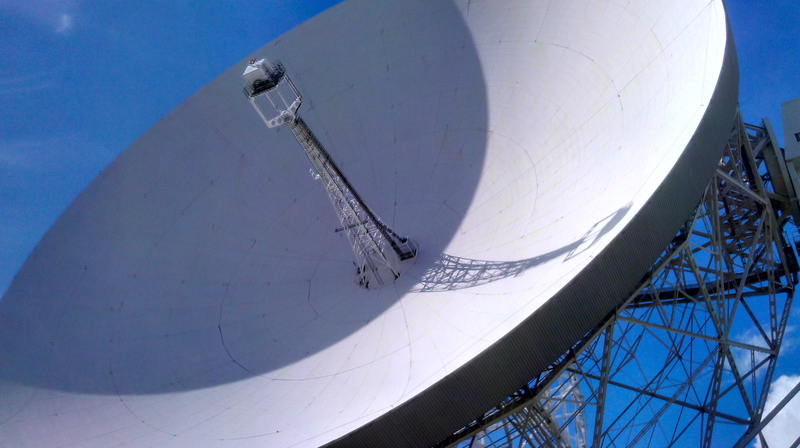 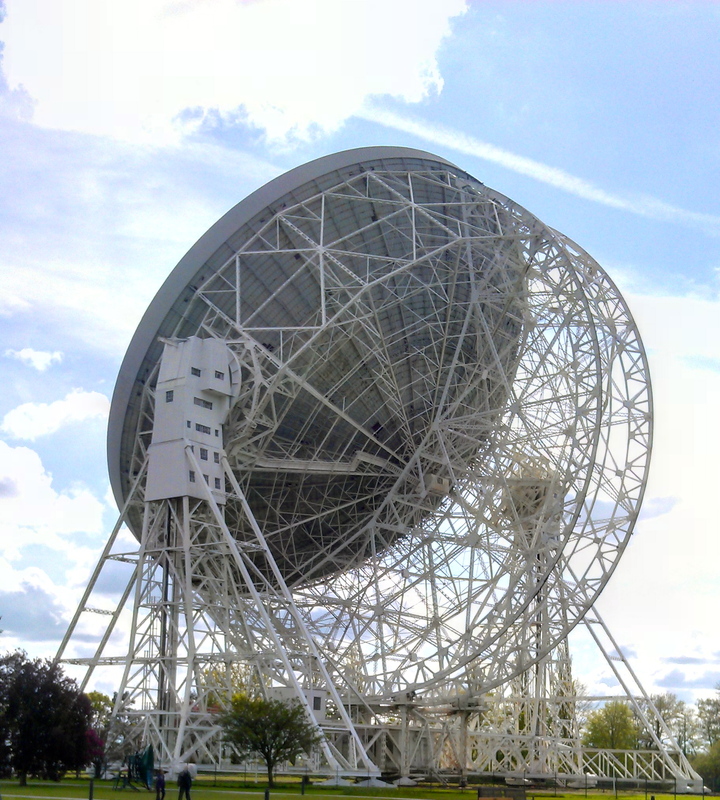 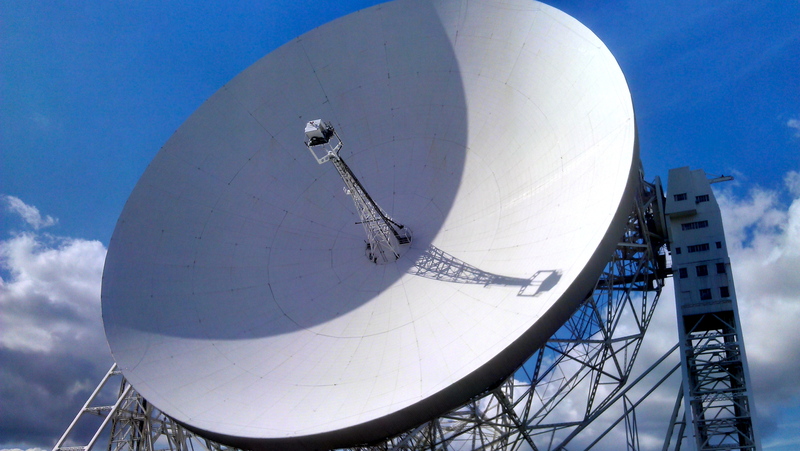 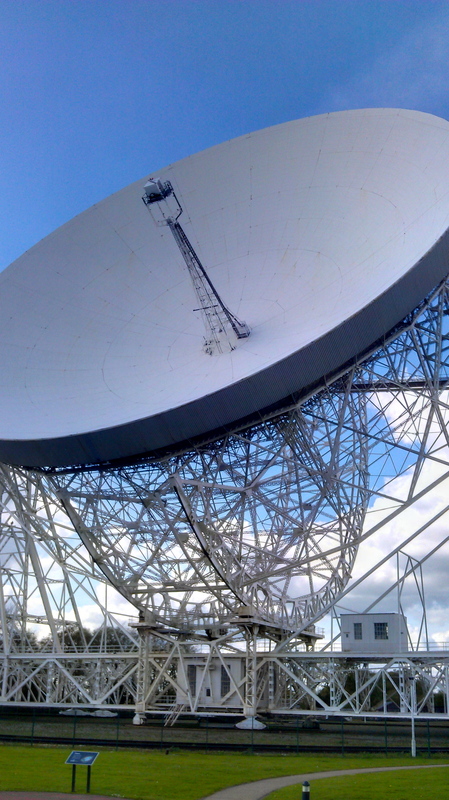 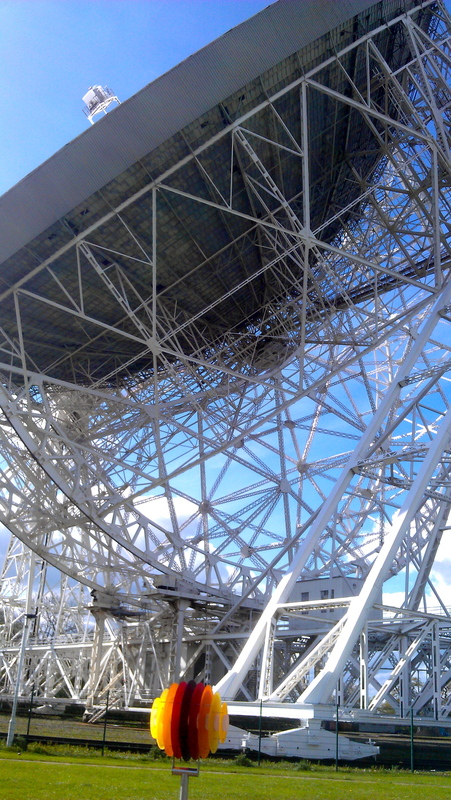 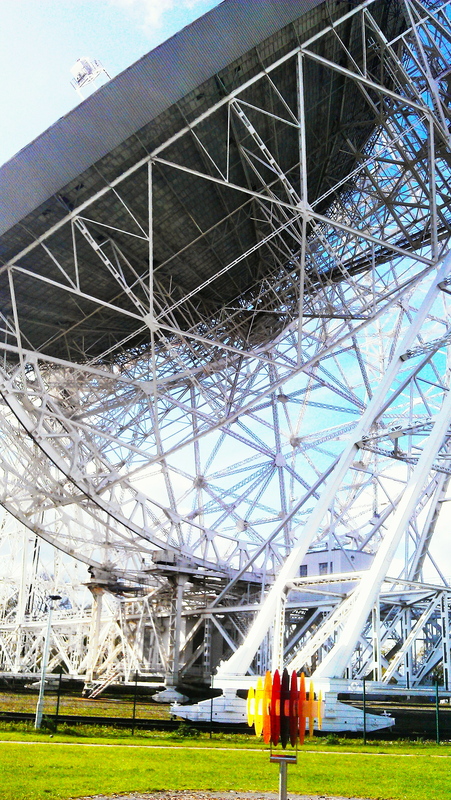 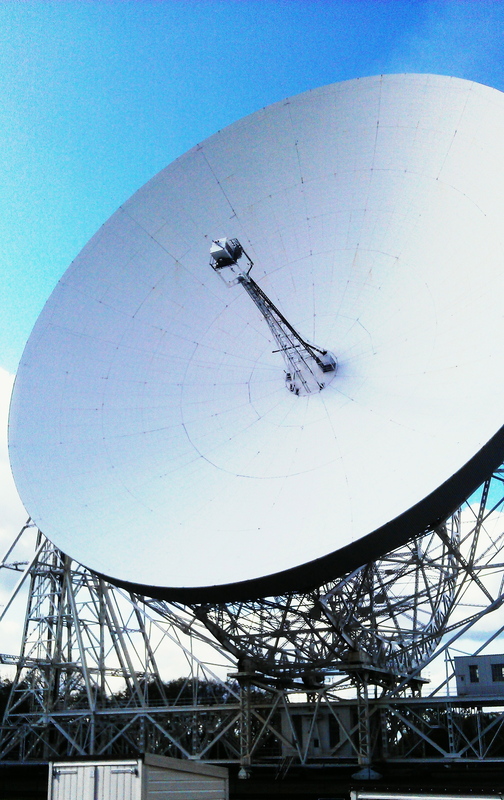 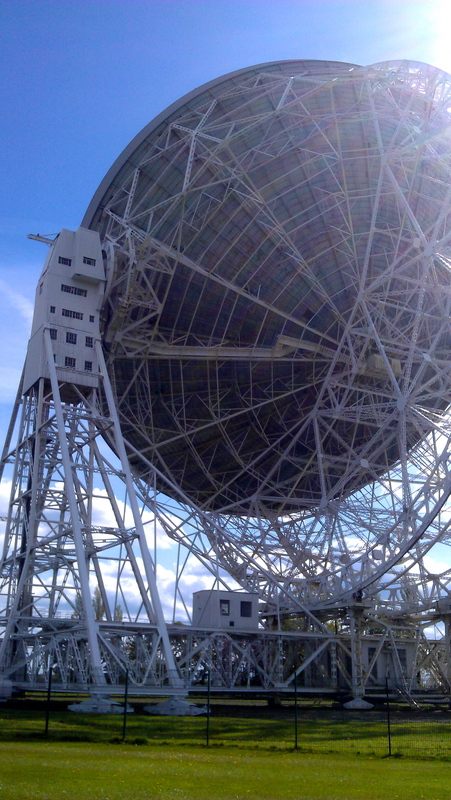 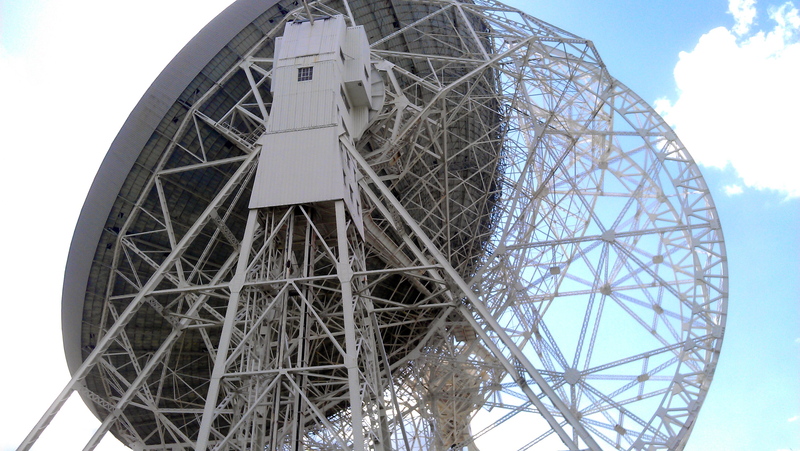 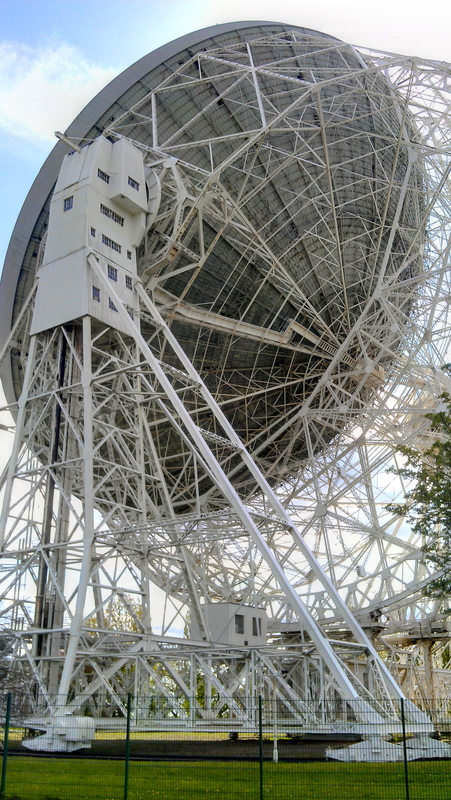 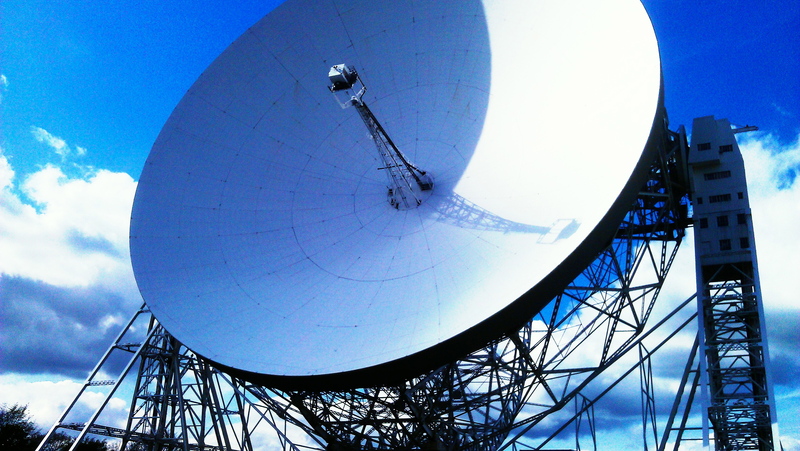 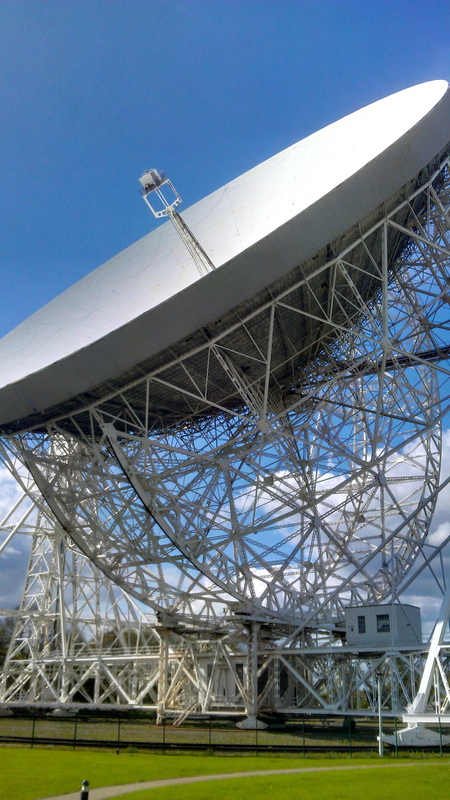 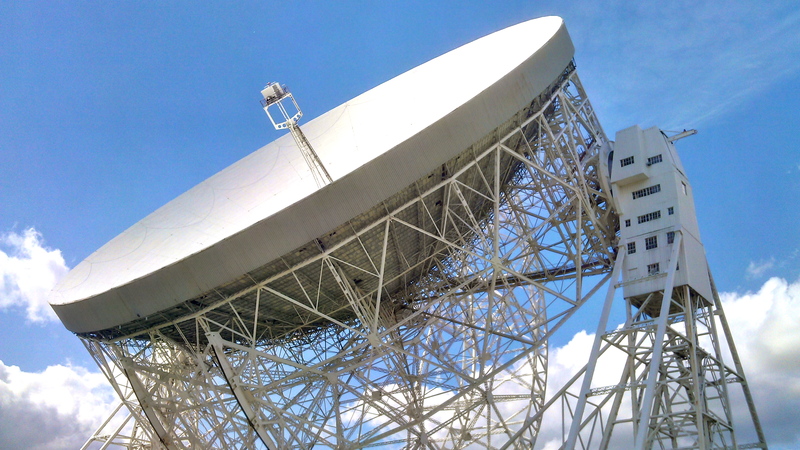 That said, the outdoor ‘whispering radar’ things were a lot of fun, and the main reason that we came anyway was to marvel at the fantastic Lovell Telescope, which we were even luck enough to see move and rotate! 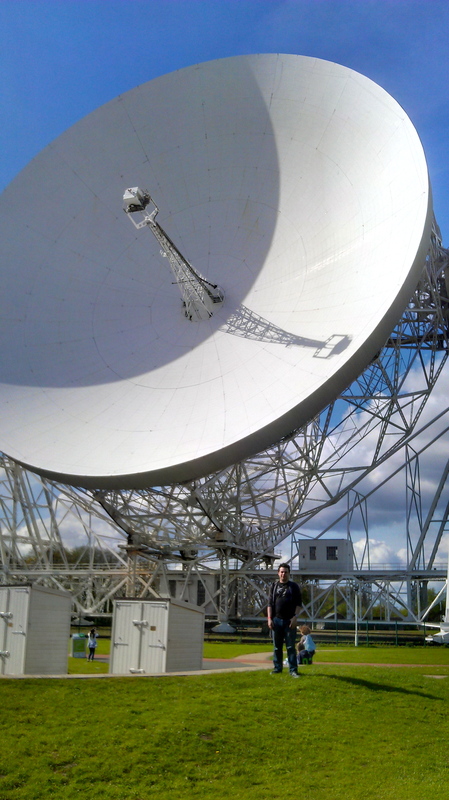 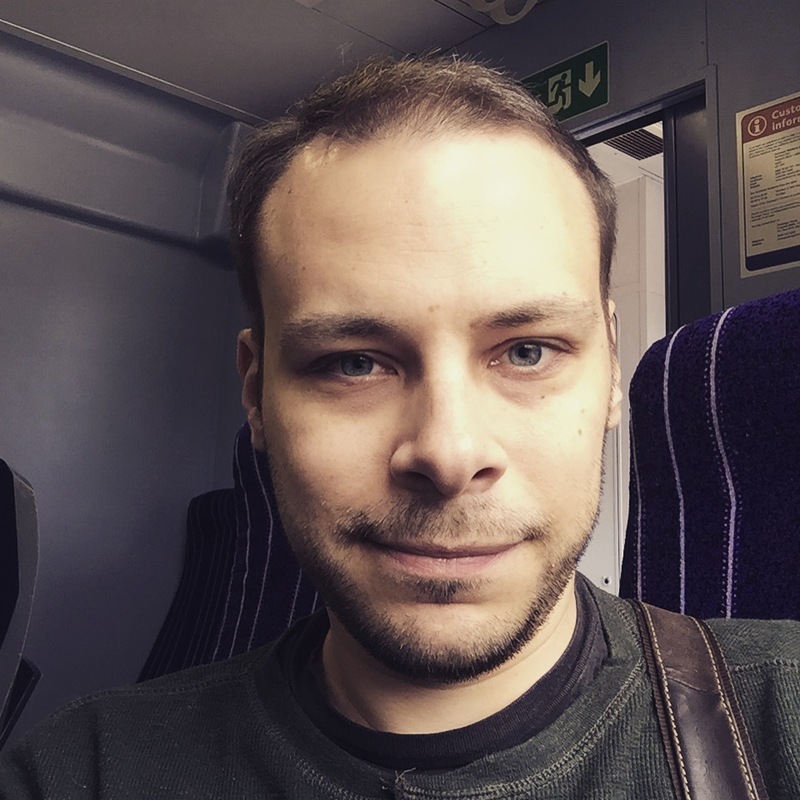 A super geeky day out, and one that we both enjoyed! 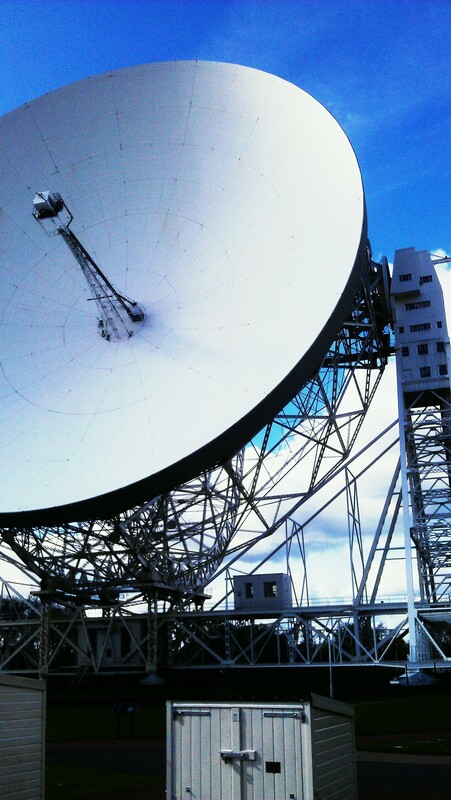 The Lovell Telescope – Jodrell Bank, Cheshire (12th May 2012) by Gari Davies is licensed under a Creative Commons Attribution-NonCommercial-NoDerivs 3.0 Unported License.